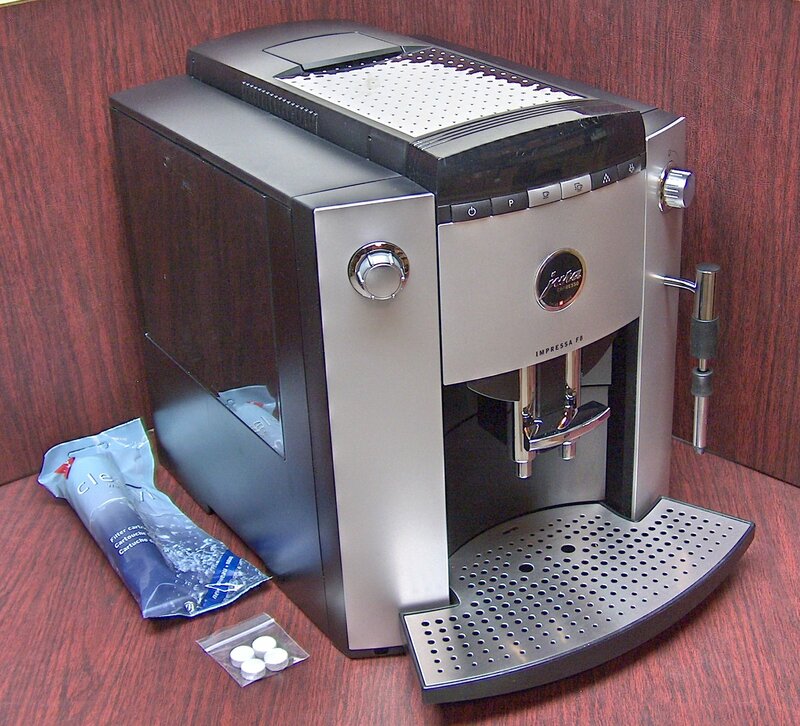 Jura Impressa F8 Super Automatic Espresso Machine! 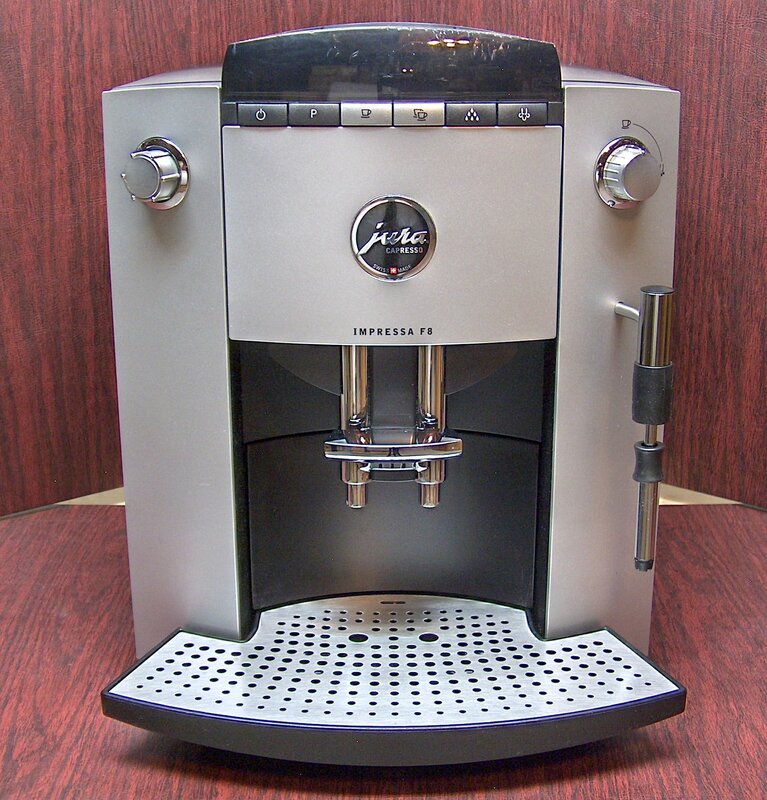 > Jura Impressa F8 Super Automatic Espresso Machine! Instruction Manual and Quick Start Guide sent by email. Water Filter, Hardness Test and Cleaning Tablets included! Free FedEx Ground Shipping within Continental USA! Great for office or light commercial use. Scrolling digital display with audible beep walks you through the functions, gives status updates and maintenance alerts. Two-step pre-infusion system - maximizes the amount of thick, rich espresso you brew every time. Pre-infusion option also moistens grounds before brewing begins to allow flavors and aromas to leech through the grounds more deeply. Stainless steel lined boiler is durable and provides excellent heat retention for consistency. 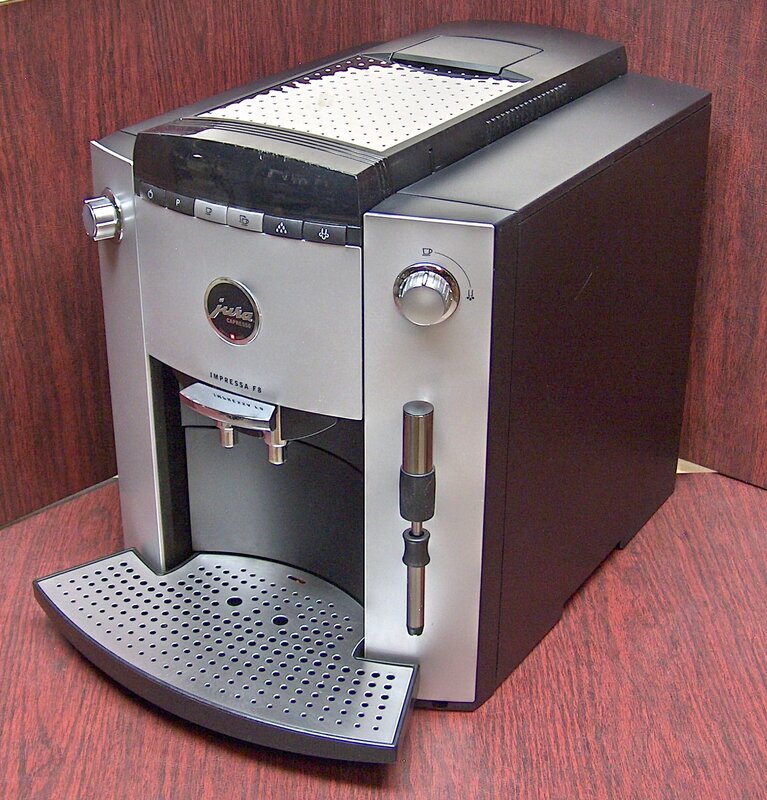 Top-loading bypass doser (up to 9 gm) for pre-ground coffee. Pre-set and programmable quantity Single & Double shot buttons. Buttons are programmable for custom shot sizes from 1/2 to 8oz and up to 16 oz for two cup button. Programmable Hot water volume up to 16 oz. 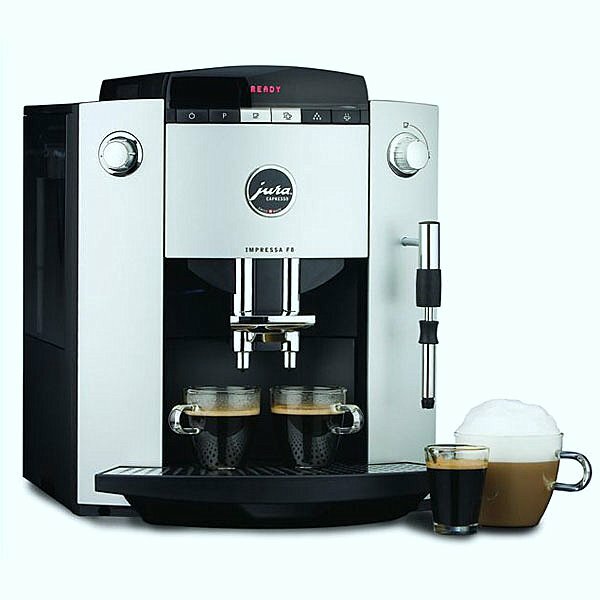 Dual Frother Plus nozzle – Steam and Froth positions. Two-line LED display dialog system guides the brewing process, alerts and programming information. Steam button - from 3 to 60 seconds. With or without filter cartridge. Display can show total number of cups brewed and number of cups for each coffee button and pre-ground cups. Automatic and manual rinse cycles. Removable 64oz water reservoir – can also be refilled on the machine. Enough water for 60 espressos or 18-cups of coffee at a time. Automatic cleaning cycle indicator prevents coffee oil build-ups in the brew chamber. No inner parts need to be removed. Drip Spouts can be adjusted from 3” to 4-1/4” for espresso cups to coffee mugs. 10 oz bean hopper capacity - Grind up to 40 portions of coffee before refilling. Conical burr grinder with 6 grind settings - from light to dark roasts. Auto rinse cycle purges and rinses internal plumbing when first turned on. Unique CLARIS™ Water Care System - eliminates decalcifying altogether. Beautiful Black housing with Silver front trim. Free, Insured Ground Shipping within Continental USA! Copyright SuperautoPro. All Rights Reserved. Hosted Ecommerce by 3DCart.